THE FUSE is the real lethal mixture. To gain it’s dangerous properties it was necessary to mix up youth with experience and energy with hard work. When we add mutual fascination of 70’ funk and groove the result of this equation is only one – dynamite. Those more experienced members are: Marcin Młynarczyk („Czarne Korki”, „Yoda” – film music with Marcin Świetlicki, „Gienek Loska Band”), Aleksander Sroka („Harmonijkowy Atak”), Kacper Matuszewski (Yoda). Agnieszka Sieńkowska, Paweł Zydroń and Dominik Łyżwa are very promising debudants, who develop their talents rapidly. 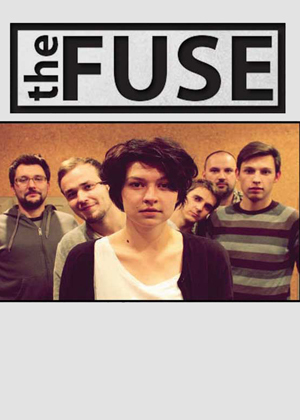 THE FUSE music is a loose combination of funk and soul. The band performs it’s own music and covers of The Meters, Galactic, Mofro, Aloe Blacc etc. Band presented it’s own songs on the debut performace in Must Be The Music show. Positive comments received constantly confirm that the path they have chosen is justified. Therefore what Groove has joined together, let no one separate.